Downhere is a Juno Award-winning Christian rock band from Canada. They have released six major studio albums to date: downhere (2001), So Much for Substitutes (2003), Wide-Eyed and Mystified (2006), Ending Is Beginning (2008), How Many Kings: Songs for Christmas (2009), and On the Altar of Love (2011). The band was formed by Marc Martel and Jason Germain who were roommates at Briercrest Bible College in Caronport, Saskatchewan. The band was formed by Marc Martel and Jason Germain who were roommates at Briercrest Bible College in Caronport, Saskatchewan. Martel and Germain added fellow Canadians Jeremy Thiessen and Tyson Manning, along with American Corey Doak in 1999, and released an eponymous debut album independently on Slyngshot Records. Tyson and Doak left the band, and later on Downhere signed with Word Records. In February 2001, they moved to Nashville, Tennessee. The band soon added bassist Glenn Lavender, whom they had met two years earlier, after his band broke up. Downhere's independent album was reissued with the inclusion of bassist Lavender, and released in 2001 as their international debut, downhere. Their second album, also released through Word Records was entitled So Much For Substitutes. In 2006 they were signed to Centricity Records and released Wide-Eyed and Mystified which led to the 2007 Juno Award for Contemporary Christian/Gospel Album of the Year, and Covenant Awards for Rock Album of the Year and Recorded Song of the Year ("A Better Way"). In 2007, the band released two additional CDs that were unique. In early 2007, they released Wide-Eyed and Simplified, which contained new versions of 8 songs from Wide-Eyed and Mystified, in addition to three popular songs from earlier releases. Later in 2007, the band released Thunder After Lightning (The Uncut Demos). This album contained 15 previously unreleased demos which were considered for use on Wide-Eyed and Mystified but were not used. The CD also contained demo versions of two songs which were used on Wide-Eyed and Mystified. 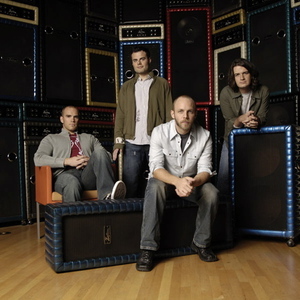 In April 2007, Downhere released Thank You for Coming (The Live Bootlegs), a six-song collection of live songs recorded in 2007 while on tour with Jason Gray & Lanae Hale. Their next album, Ending Is Beginning, was released on September 23, 2008. The band released the songs for a few days and gave fans the chance to give input on which songs they should put on the album, and as a pre-release to Ending Is Beginning in June 2008 they gave away the whole album Wide-Eyed and Mystified as a free download. In October 2009, they released How Many Kings: Songs for Christmas, a collection of Christmas songs. This included "How Many Kings", which was a bonus track on Ending Is Beginning. Between the release of Ending Is Beginning and On the Altar of Love, Downhere released Two at a Time: Sneak Peeks & B-Sides, a collection of older songs compiled over their career, as well as two new songs: "You're Not Alone" and "The Song You Sing". "You're Not Alone" was released as a single in May 2010. In May 2011, the first single,"Let Me Rediscover You", from their upcoming album On the Altar of Love was released. The album itself was released August 23, 2011.